The online version of this article ( https://doi.org/10.1007/s00436-018-6153-7) contains supplementary material, which is available to authorized users. 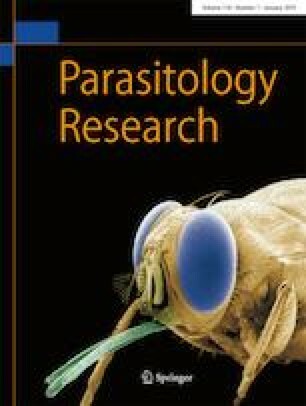 We thank Xi Huang for assisting with quantitative PCR analyses in the laboratory and Tatjana A. Iezhova for microscopic identification of parasites. This work was supported by the Swedish Research Council (grant 621-2013-4839 to SB) and also partly funded by the Research Council of Lithuania (grant S-MIP-17-27 to RB). VAE was supported by a postdoctoral fellowship from the Carl Tryggers Foundation. Permission for taking blood samples from birds in Sweden was approved by the Malmö/Lund Committee for Animal Experiment Ethics (M45-14). Procedures with birds in Lithuania were performed by licensed researchers and were approved by the Ethical Commission of the Baltic Laboratory Animal Science Association, Lithuania; Lithuanian State Food and Veterinary Office and Environmental Protection Agency, Vilnius.